What are passive houses, and what do the windows have to do with it? Seen objectively, passive houses are modern energy saving miracles. Passive houses consume such a low quantity of heating energy every year that this can be provided solely by passive energy sources, e.g. body heat or solar gains. A standard value of 15 kWh per year and square metre may be taken for the consumption. To cover this low need, houses must be above all one thing – tight. And this applies not only to insulated walls and roofs, but of course to highly insulated windows and residential doors as well. Every single structural component is tested and certified to this extent. The standard passive house is defined clearly, and its values set down precisely. The two procedures known on the market are the passive house certification by the Dr. Feist institute and the WA 15/2 certification by the ift in Rosenheim. Although both companies differ in how they measure their values, their core statements do not: The total heat transfer coefficient for the whole window may not exceed a Uw value of 0.8 W/(m²K). 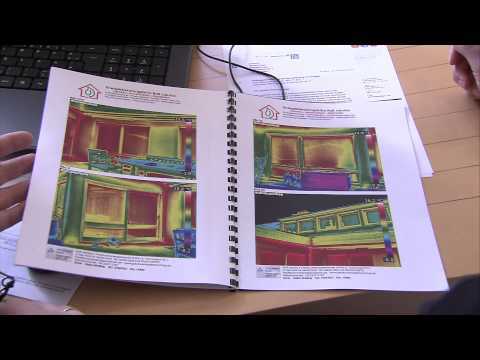 The passive house institute Dr. Feist measures the heat transfer coefficient for the window frame based on DIN EN ISO 10077-2, but extends its final analysis and measurements to the window’s installation environment as well. The institute has now been testing and certifying window systems for more than twenty years. ift of Rosenheim ignores the installation and therefore connected environment, and analyses the window as an individual component. Unlike Dr. Feist, its measurements are based on the so called hot box method, i.e. the thermal resistance is determined in a heating chamber. This procedure simulates reality better than a measurement and has been part of ift certification since 2011. In view of these different certification methods, we may not forget that also a passive house is generally fitted with automatic ventilation and heat recovery in addition to the high thermal insulation components. This optimises the otherwise conventional airing method of opening and tilting windows and makes sure that there is a controlled supply of fresh air and a healthy indoor climate in rooms that are well insulated. No matter which certified KBE passive house window you decide to purchase in the end, this will be an outstanding and above all sustainable solution in both passive and low-energy houses. Just don’t forget to include a specialised company from the outset, just to be on the safe side.